They came, they rode and they (sort of) conquered! 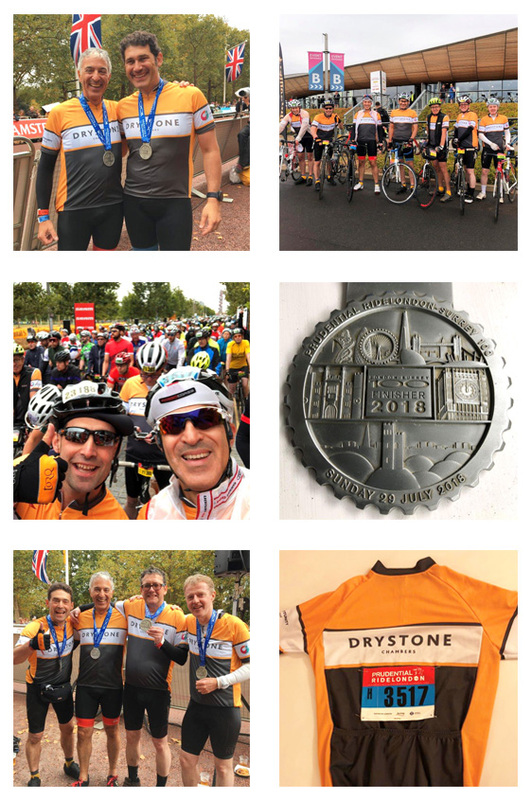 Through strong headwinds, rain, multiple punctures and crashes our team courageously soldiered on and completed the Prudential 100 race to raise funds for OI. We have, however, one final plea: we are so close to our sponsorship goal, please see the link below and pledge whatever you can to help us reach that target and ensure our team raise as much as possible for this great charity. Click here to be directed to our sponsorship page. OI funds many projects around the world, but has a particular focus on women in Africa. They provide small sums to individuals trying to lift themselves out of poverty through work and also larger sums to improve the education of women - including funding schools for girls and boys. We chose this charity because of the work it does worldwide to encourage and empower some of the weakest members of communities to realise their potential. We feel it reflects the core values within our Chambers as we strive to help those who need it most. The team would like to thank all those who came to support and those who have already given so generously to sponsor them. We are proud to have been able to provide funds that will make a difference to those in need via the capable hands of Opportunity International.